Gay Chat Line Where Men meet Men. Call Now! 503-222-6872 When your sign up is complete We will give you the phone number nearest you for future calls. Looking for a quick hook-up, hot talk, new friends or more? This gay chat line is for you! Man to Man private chats and voice messaging makes it easy to get to know each other. while remaining anonymous. You can set your preferences for age, location and nice or nasty. 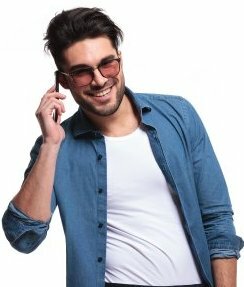 First time callers get a free hour to message and chat with anyone then accept our introductory offer of 30 days for only $10 of unlimited everything or continue for free with limited features. A paid membership allows you unlimited access 24/7, anyone can message you or request a man on man chat. Everyone can respond to your chat requests and messages. Paid members can create and moderate their own chat rooms and have unlimited time in the public chatrooms. Browse and participate in the member created forums with topics about anything imaginable. If you don't find one you like, create it.